Our law firm has achieved notable success helping our clients to protect their rights and interests, and to obtain the positive results they expect and deserve. Our philosophy centers on providing the highest level of advocacy and support possible to those we serve, and we have earned a reputation for delivering the personalized attention our clients need with the utmost professionalism and competence. Through our unwavering commitment to our clients, our attorneys are fully prepared to help you resolve your case no matter how complex your situation. 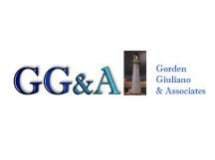 To find out what Gorden Giuliano & Associates can do for you, we invite you to contact our law office at (516) 214-8450 or visit our website at www.longshoreactlawyers.com to schedule a free initial consultation concerning your matter.